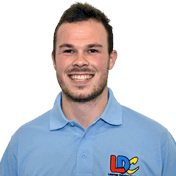 Matt is a great driving instructor who clearly cares about his students' progress and is always patient and helpful. He clearly takes the trouble to understand his students and always aims to solve any worries that they have. The workbook and video were useful and gave me a good starting point to build on in our later lessons. The workbook helps you to plan the lessons and allows the student to really think about what they want to achieve and what they need to practise. 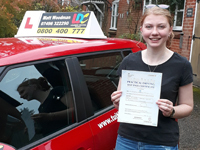 On the whole, I am extremely pleased with my LDC driving course and would definitely recommend it to others.